The morning started in Menomonie, WI where we stopped for the night the previous day. I woke up to plenty of tornado footage on The Weather Channel, CNN and Fox News which was not a very good start to the day. We went to Taco Johns, which was the first time I had ever eaten at one. We hit the road back down I-94 towards Madison, making pretty good time. 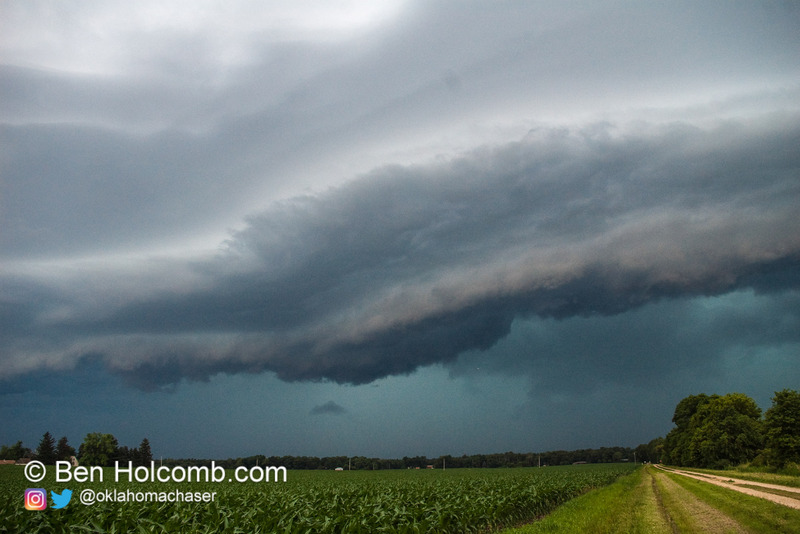 A line of storms had developed in Iowa and were heading east, with 70+ MPH winds reported. 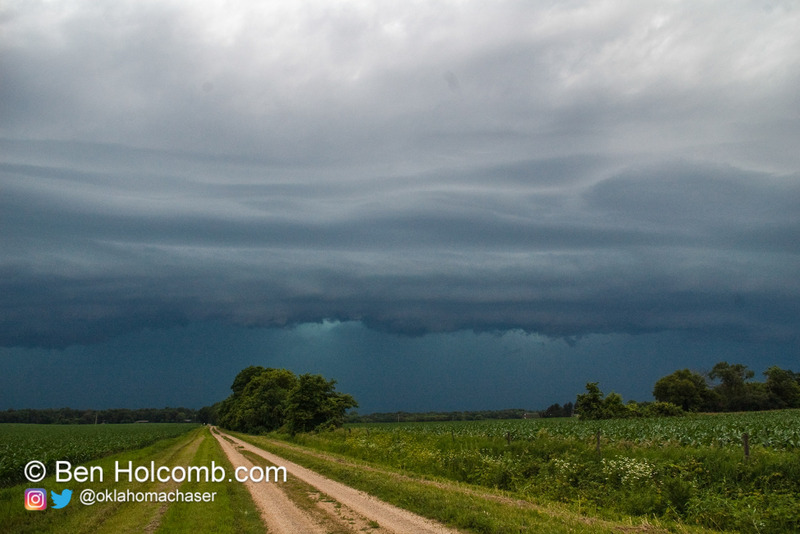 It looked like our best chance of intercept was near the Rockford area. We headed south down I-39 towards Rockford, and eventually found a place right off I-39 to set up. L.B. 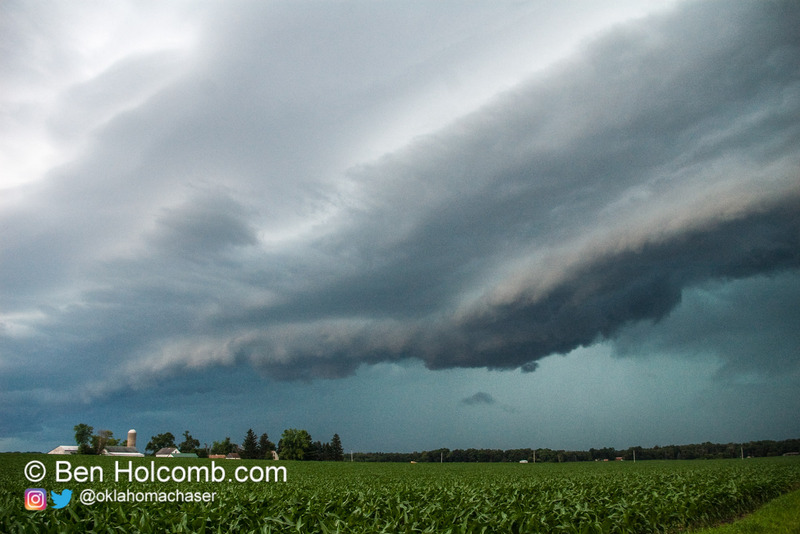 and I witnessed an amazing shelf cloud as the line of storms shot east. We didn’t end up getting very high winds. 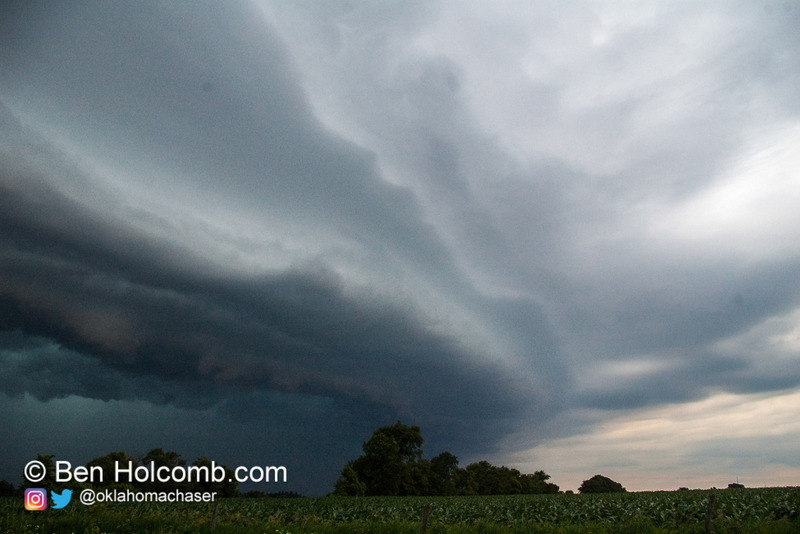 Our estimated winds were in the 35 mph range as the shelf cloud came through. Then from there it was on to keep up with the line. We headed down I-39 to I-88 and shot east where we passed Adam Lucio. We eventually got caught up in traffic as we headed towards the east. We never caught back up with the line, but were able to find some tree damage in southwest Michigan. While uploading video, we stopped off at Culvers in Kalamazoo where Kurt Hulst met up with us. I got home late that evening after it looked like a second line would make it to Michigan. It ended up dying out before getting into Southwest Michigan.